This was a busy week at the Texas Capitol. More than a dozen committees held hearings to consider interim charges. Interim charges offer policymakers an opportunity to study items of importance prior to the start of the Texas Legislative Session, a five month session that begins in January 2015. Often information gleaned during these public hearings results in legislation that is pursued during the legislative session. The preliminary budget for public education for the next 2 years. Examine and make recommendations regarding alignment between high school coursework and expectations in freshman level college coursework. Study the impact of particular coursework, specifically mathematics (including Algebra II) and science courses, as predictors of college readiness and success. Review and make recommendations regarding the use of dual credit coursework and other secondary school programs for college credit, including the academic rigor of such programs and predictive value for college success. Monitor the implementation of legislation addressed by the Senate Committee on Higher Education, 83rd Legislature, Regular and Called Sessions, and make recommendations for any legislation needed to improve, enhance and/or complete implementation. Specifically, monitor the following: SB 414, relating to a study and report regarding authorizing certain public junior colleges to offer baccalaureate degree programs to address regional workforce needs; SB 62, relating to the vaccination against bacterial meningitis of entering students at public and private or independent institutions of higher education; SB 28 (2011), relating to eligibility for a TEXAS grant and to administration of the TEXAS grant program; and HB 1244 (2011), relating to developmental education and the assessment of student readiness under the Texas Success Initiative and to students enrolled in developmental education at public institutions of higher education. Study and make recommendations on the feasibility of removing failure to attend school (Section 25.094, Texas Education Code) as a Class C misdemeanor offense and determine the feasibility of adjudicating juvenile truancy as a civil offense. 4. Study and make recommendations on the availability and application of deferred adjudication, orders for non-disclosure, and expunctions. Study extending the use of expunction of criminal records history and non-disclosures to certain qualified individuals with low-level, non-violent convictions. Carried in Texas PTA’s Education News on August 15th was a July 24, 2014 article in the Longview News-Journal, Some East Texas schools taking a stance on electronic cigarettes, (B. Ortigo-reporter/R. Brack-editor). The article quoted Board of Trustees President Troy Simmons as saying the district does not have plans to discuss a policy regarding electronic cigarettes. — In fact, the district’s policy review committee has been considering such a policy and the reporter misquoted Dr. Simmons. Additionally, the district’s Administrative and Pupil Services office sent the reporter an email about the proposed policy prior to the newspaper’s publication of the story. The policy proposal was set for board consideration at its August 11 regular meeting. The policy was adopted unanimously at the Board of Trustees meeting on August 11, 2014. In 2013 when the Texas Lottery Commission was up for sunset review, the Texas House voted 81-65 to abolish the state lottery. Within hours, the House reconsidered the vote after some members questioned how the state would fill the $2 billion hole in the education budget that would be created by doing away with the lotto. The House eventually voted 88-54 to pass the sunset bill, but tacked on an amendment to would convene a joint committee to study the impact of eliminating the lotto. On Wednesday, that 10-member commission heard testimony on the costs and benefits of continuing the state’s lotto. 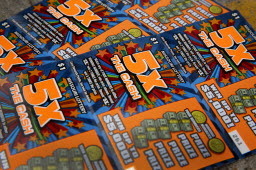 No member voiced a desire to eliminate the lottery, but some lawmakers raised concerns about disproportionate sales to low income districts around the state. The number of student discipline cases filed in Texas juvenile courts dropped 83 percent in one year, according to the state’s Office of Court Administration. Officials say the drop is related to two bills passed by Texas lawmakers last legislative session, SB 393 and SB 1114, which allowed students’ behavioral issues to be handled internally, rather than ticketing students and adjudicating behavior in courts. 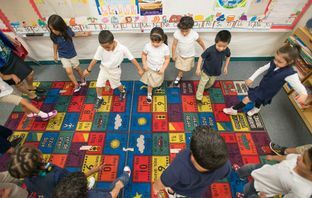 Getting more youngsters into prekindergarten classes is a priority for Texas school districts, but finding the money to do so is difficult, according to a study released Monday. Children at Risk, a Houston-based education advocacy group, conducted a yearlong study to assess the current state of prekindergarten programs in Texas. It found that despite financial challenges and dramatic statewide education funding cuts in 2011, Texas school districts were picking up the tab locally or finding creative partnerships to expand access. Commissioner of Education Michael Williams and Texas Land Commissioner Jerry Patterson announced today that the Permanent School Fund has reached a record high value in 2014, making it the largest educational endowment in the country.Created by the state in 1854 with an initial $2 million investment, the endowment has now grown to approximately $37.7 billion in market value as of June 30, 2014. Of that total, approximately $30.6 billion is managed by the State Board of Education and $7.1 billion by the School Land Board. Day-to-day oversight of the Fund is handled by staff at the Texas Education Agency (TEA) and the General Land Office. Earlier this year, the Texas Education Agency (TEA) nominated 25 Texas public schools for national 2014 Blue Ribbon Schools recognition. Founded in 1982, Blue Ribbon Schools is a U.S. Department of Education program that recognizes public and private elementary, middle, and high schools where students perform at very high levels. The Texas Education Agency (TEA) today released Community and Student Engagement ratings for the state’s school districts, charters and campuses. Under House Bill 5 passed last year by the 83rd Texas Legislature, all districts and charters are required to evaluate their performance, as well as the performance of each campus, in regard to community and student engagement. Districts must assign one of four performance ratings – Exemplary, Recognized, Acceptable or Unacceptable. For 2014, more than 99 percent of school districts and campuses reported a locally-assigned Overall Performance rating of Acceptable or higher. Updated, Sept. 26, 2014: Attorney General Greg Abbott will appeal a ruling that the state’s school finance system is unconstitutional directly to the Texas Supreme Court, according to an official notice his office sent Friday to attorneys in the case. The details of the appeal are expected to come in the next month. A decade ago, Texas was a poster-child for the ills that contributed to a national high school graduation crisis. 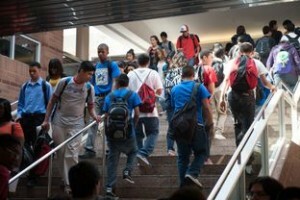 As the state weathered scandals over the way some districts calculated graduation rates, it became identified in national reports as the epicenter for chronically underperforming schools known as “dropout factories.” Now the percentage of Texas students earning their high school diplomas on time exceeds that of nearly every other state. A U.S. Department of Education report released in April showed Texas tied for second place — one spot higher than the previous year — with only Iowa reporting a higher rate for 2012. In exchange for implementing a new statewide teacher and principal evaluation system, the U.S. Department of Education has granted Texas a one-year waiver from No Child Left Behind benchmarks deemed unreachable by the Texas Education Agency. Sixty-eight charter schools and districts will pilot the controversial new evaluation method, which conforms to a federal mandate requiring districts to base at least 20 percent of teacher and principal scores on student performance measures. 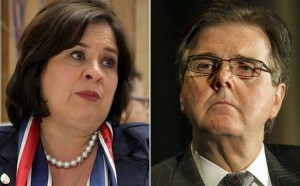 Leticia Van de Putte and Dan Patrick collaborated on key education issues as state Senate colleagues a year ago. 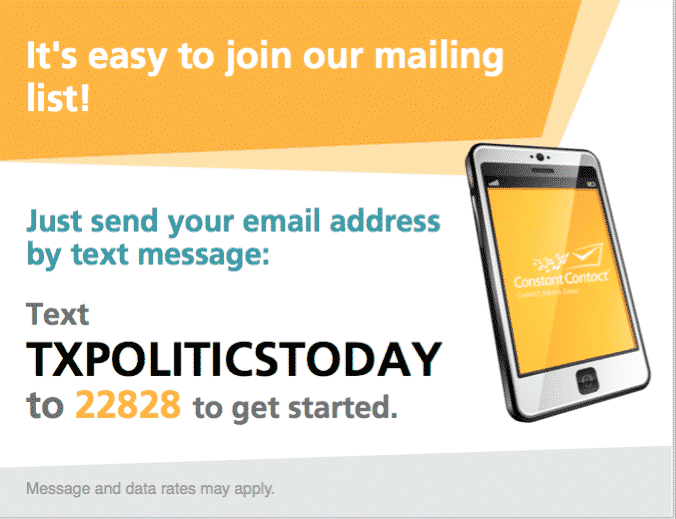 But as they near their Nov. 4 showdown for lieutenant governor, education has become a dividing line between the two. While the candidates also disagree on other hot-button topics such as immigration and abortion, both have touted their experience on education matters while lambasting each other’s stands on school choice, student testing and education funding. With reports of five Dallas ISD students coming into close contact with an Ebola patient, school districts may be getting questions from concerned parents about the health threat. The Texas Department of State Health Services has created a fact sheet, a Q&A document, as well as a list of other resources that may help districts respond to concerns about the disease. The Centers for Disease Control has also posted information that may be useful. The Texas Education Agency is excited to announce a new suite of college and career readiness tools available to districts and campuses. The Online College and Career Readiness Resource Center is a comprehensive tool for college and career development in Texas, ranging from the broad “What does it mean to be college and career ready?” to the specific “Supporting First-in-Family College Attenders.” The OCCRRC provides over 250 free resources, videos, and interactive activities, along with the most current research and best practices available for college and career readiness. Continuing education credits are available for individuals who wish to earn credit for the professional development opportunities within the site. Data released today by the College Board shows that 2013-2014 participation rates for Advanced Placement (AP) exams and SAT for students enrolled in Texas public schools once again increased over the previous school year. The 225,627 Texas public school students who took AP exams in 2013-2014 represents an increase of 9.2 percent from 2012-2013 and a 33.3 percent jump over the past five school years. Students took 410,788 AP exams in 2013-2014, an increase of 9.1 percent over the previous school year and 33.7 percent over the past five years. 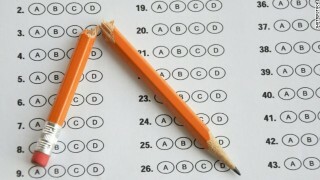 As Texas SAT scores hit a low point, some ask: Are reforms working? Texas students in the Class of 2014 posted some of the lowest SAT scores in more than 20 years, spurring more debate about what’s been accomplished after more than a decade of high-profile education reforms.The data, released by the College Board on Tuesday, shows students posted the poorest math score since 1992, the second-worst reading score since the 1970s and the lowest writing score for the third consecutive year since 2006, when the subject was added to the exam. A biographical sketch of Hillary Rodham Clinton has been removed. Negative references to former President George W. Bush have been changed. Those were among among hundreds of alleged errors cited by critics who testified at an all-day State Board of Education hearing last month on new social studies textbooks and e-books for Texas public schools. Now, the publishers have responded. In many cases, they refused to make changes requested by special interest groups or private citizens. But in some, they agreed to modify or eliminate offending language or paragraphs before the board gives the books final consideration in November. The books will be sent to schools in the fall of 2015. Editor’s note: Pasi Sahlberg is visiting professor at Harvard University’s Graduate School of Education and former director general in the Finnish Ministry of Education and Culture. The opinions expressed in this commentary are solely those of the writer. Millions of American parents spend countless hours trying to figure out how to help their children get better grades, better teachers or better schools.They may want to take a page from Finland, which is considered to have one of the leading education systems in the world. Finnish students consistently score near the top in the Program for International Student Assessment, or PISA, for reading, mathematics and science. The 2012 PISA results tell us that in these three subjects combined Finland ranks third after Korea and Japan. In comparison, American students’ combined performance in reading, mathematics and science places the United States at 21st among 34 Organization for Economic Co-operation and Development countries.